Liverpool, Suarez. Langsuan street, Bangkok. 2014. Why Liverpool?, I asked many times and got always the same answer in a language I don’t speak with the attitude I understand perfectly. There is no need for translation – a raised eyebrow and a pose of someone who will never give up speak volumes. I know Khun Suarez for many years. He is one of tough motorcycle taxi drivers working in my street and he wears his football shirts to work. Most of the time it is one from his vast Liverpool collection although recently I’ve seen an Atletico Madrid emblem under his taxi vest. 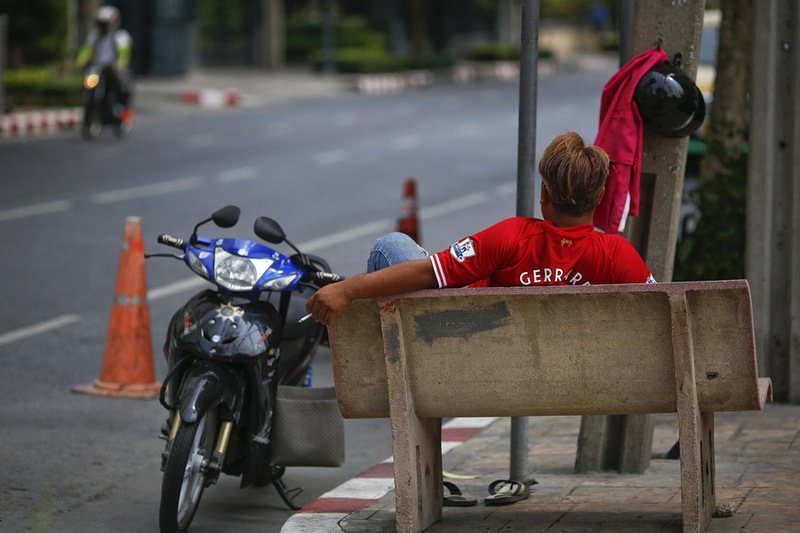 He takes me through the madness of Bangkok traffic almost every day – without people like Suarez (not his real name but we both like it) I would be just another miserable passenger stranded in what often looks like one huge parking lot in the streets of a monster city. Our conversation, always short but pleasant is a combination of gabbling in my non-existing Thai and his equally understandable English, with important elements of pantomime. 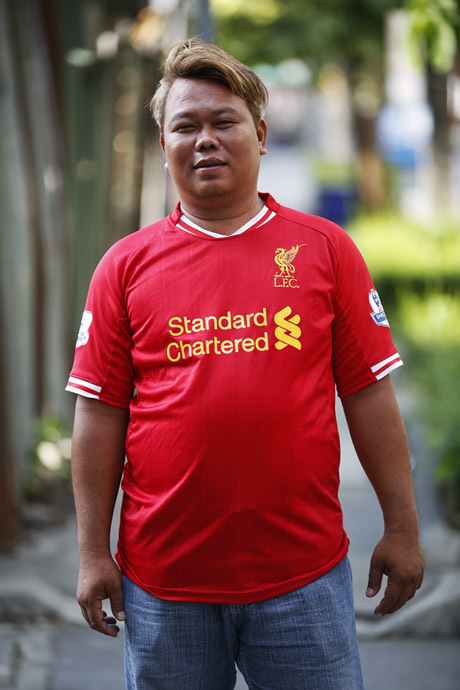 The words we understand are always the same: Liverpool (followed by his smile, a rare moment in the world of Bangkok’s taxi drivers), Manchester and Chelsea (with a face expression of someone who is about to vomit) and number of goals from last night’s matches. At the end of the day when I come back home and when he had already taken off his taxi jacket, we share a few glasses of poisonous Thai whiskey, rarely a beer. The conversation however remains the same, about football. It’s been like this for years and I don’t want it to change. He is one of very few things that can make me feel Bangkok home. Tomorrow morning I will be again on the back of his decomposing 125cc Yamaha and he will wear a Liverpool shirt. There is a slim chance Liverpool is snatching that trophy tonight but that will change nothing. Some things are just bigger than anything money can buy, including the title.